Journeyman, which premieres next Monday on NBC, stars Kevin McKidd (who played Lucius Vorenus in HBO's Rome) as Dan Vasser, a newspaperman caught in some sort of temporal rift which periodically propels him into San Francisco's not too terribly distant past. Over the course of the pilot episode, McKidd finds himself mysteriously transported to both 1987 and 1997 (times chosen by the producers no doubt to reduce the cost required to transform exterior sets into different eras). Vasser's strange and sudden disappearances, and his equally puzzling reappearances into the present, cause concern to those around him. Among them: his wife Katie (Gretchen Egolf), his editor, and to a lesser extent, and Jack, his somewhat estranged police officer brother (played by Reed Diamond, formerly of Homicide: Life on the Street), all of whom believe that Vasser has fallen into the perils of drug use. In its philosophy of time travel, Journeyman is very much akin to Back to the Future, in that minor changes to the past made by Vasser result in a slightly different future. When he is hurled back into his own present, he notes the changes, however small, and uses that information to make additional alterations, if necessary, when he next travels into the past. There is no true sense of fate, as everything can be changed, but oddly, fate is implied, as there is some correct result which Vasser is attempting to ascertain which, when achieved, ends his journeys into the past for that particular episode. 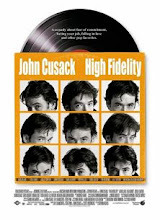 Without delving into the specifics of the pilot's plot, Vasser attempts to rectify the troubled past of a young professional who, at first, is having difficulties with his girlfriend in 1987. After some historical tweaking, Vasser notes some new problems later in that person's life, which must again and again be altered to ensure that destiny is properly achieved. Another show in which the protagonist aids strangers. Yawn. (There is no explanation why, if Vasser can be inexplicably transported to the past to fix this or that, history couldn't have simply sorted itself out the first time around). The interpersonal wrinkle of the series is that Vasser apparently stole his brother Jack's girlfriend, Katie, following the death of his own fiancee', Livia Beale, in a plane crash sometime in the past. As we join the narrative in 2007, Vasser has married Katie, which has strained his relationship with his brother. Vasser uses his forays into the past to locate his then-living, now dead fiancee Livia Beale (played by the actress Moon Bloodgood, who must have been named by J.K. Rowling). He also is able to impersonate his former self and interact with the past versions of his friends and lovers. That part of the pilot is the most interesting (wouldn't we all like to sit down at a 1997 dinner table as our 2007 self? ), but unfortunately, it must share the narrative with a "historical dilemma of the week," which Vasser must fix. In an attempt to create some type of mythology, Vasser, upon leaving a meeting with the 1997 Livia, runs into another time traveler: a Livia from the future (our present, perhaps) who apparently faked her death and now travels through time with a bit more understanding of the process than Vasser, a temporal traveler virgin. I suppose we will learn more about how she came to become a time traveler herself as the series progresses, but it seems to be a bit unnecessary this early in the life of the show (and really, just unnecessary period). Inevitably, the show will be compared to Quantum Leap, in that it features a hero traveling in time (but only in his own lifetime) to correct small episodes in others' lives to make the world a better place. Yuck. The only difference, really, is that Vasser, as opposed to Scott Bakula's Sam Beckett, physically travels through time himself rather than taking over the body of some pre-existing individual from whatever year in the past he finds himself. I can't imagine this show surviving the entire television season. 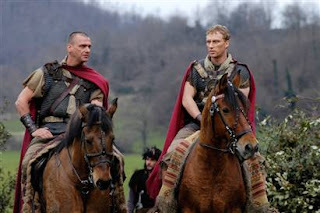 One wonders how long it will take the producers to stuntcast Ray Stevenson, McKidd's former Rome co-star, who played Vorenus's true friend Titus Pullo. Or better yet, maybe Vasser travels back in time to ancient Rome and meets Vorenus and Pullo and is promptly slain by them. We'll have to wait and see.